Wyoming Collection Two-Drawer, Two-Shelf Armoire for flat-screen TV Discounts Apply ! 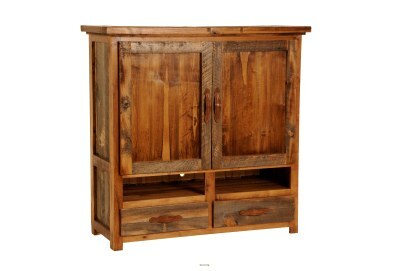 Introducing the Wyoming Collection of barnwood furniture by Mountain Woods Furniture. Visit all of our categories to see the full range of barnwood pieces.